The process that takes place when two tectonic plates collide together, and one is pushed under another. 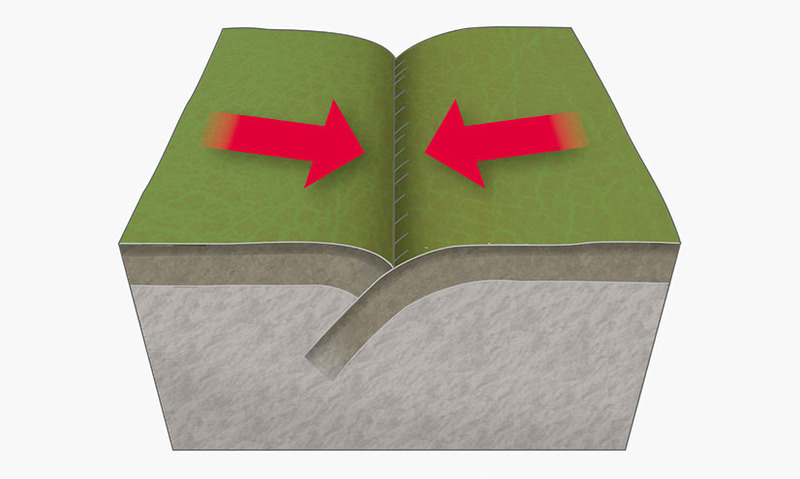 This typically occurs when a continental and an oceanic plate meet, with the denser oceanic plate being pushed under the continental plate. The plate is deformed and slides slowly down towards the mantle, at perhaps a few centimetres per year. This often produces a deep trench in the ocean, as in the Marianas, which include the world's deepest ocean trench.